We’re constantly amazed at the things we find in our own backyard. For example, did you know that frozen-cocktail wholesaler Maui Beverages is located right in Beverly? Even better, its parent company, Creative Juices, recently launched a line of all-natural cocktail mixers based on classic drinks like lemon sours, bloody marys, and margaritas. 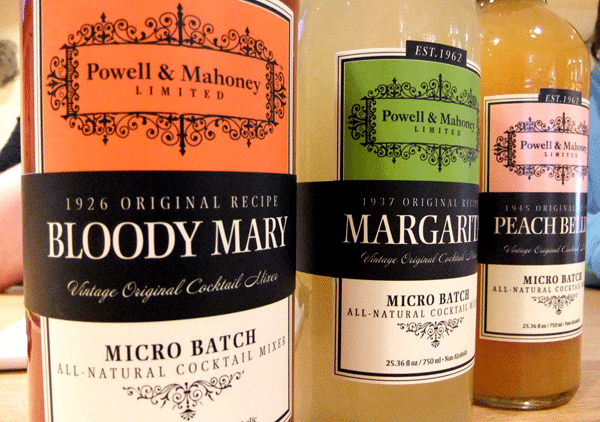 The Powell & Mahoney line is sold all over New England in liquor stores and specialty markets for $6.59 to $7.99. It uses high-quality natural ingredients and is made in small batches for better taste and a more consistent product, according to co-owner Mark Mahoney. His partner, Brian Powell, is a former vice president of Stirrings. We recently got a chance to chat with Mahoney, who grew up on the North Shore and currently lives in Marblehead. He is understandably proud of the new mixer line, which he said has been very well received by retailers and consumers. “Half the battle is getting people to try it. Once they do, we have a customer,” said Mahoney, whose favorite local bar for cocktails is Beverly’s Soma. The Powell & Mahoney line launched in 2010 with bloody mary, red sangria, lemon sour, pomegranate martini, margarita, mojito, cosmo, ginger, and hot toddy mixers. Within the next few months, the company will introduce peach bellini and low-calorie margarita mixes (the latter will be around 35 calories per ounce, not including alcohol, and made with a natural sweetener). 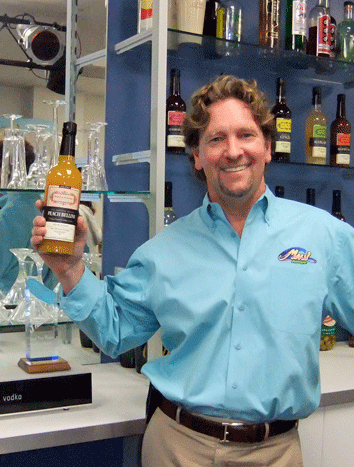 Mahoney gave us samples of several of the original products, plus the new peach bellini. We found the bloody mary fresh-tasting and pleasingly spicy. The ginger is a standout—perfect for making dark and stormys or perhaps a ginger martini. Those who like a sweeter drink should try the cosmo, and for the perfect brunch drink, definitely add champagne or prosecco to the bellini, which is very fruity and not overly sweet. As our favorite summer drink is a gin rickey, we decided to experiment at home with the pomegranate and whipped up a pomegranate rickey. Fun, refreshing and far from ordinary, it’ll be the pick of the patio this summer. Mahoney, whose favorite drinks include pina coladas and pomegranate margaritas, told us to watch for “bar chefs” continuing to create signature cocktails and tailored drinks at high-end restaurants. 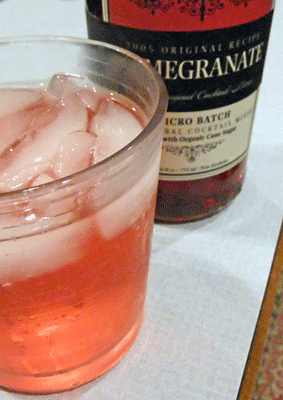 He also expects to see margaritas in flavors like white peach and prickly pear and a proliferation of shelf-stable, eco-friendly packaging for everything from wine to cocktail mixers. On the North Shore, the Powell & Mahoney line can be found at Pamplemousse (Salem), Haley’s (Marblehead), Henry’s, Depot Liquors, and Cosgroves (Beverly), Harrigan’s (Hamilton), Ipswich Bottle (Ipswich), Leary’s Fine Wines (Newburyport), and Kappy’s and Route 114 Liquors (Peabody).